The Gazelle is an advanced Flexible Steel drill designed to make you strong and flexible at the same time. 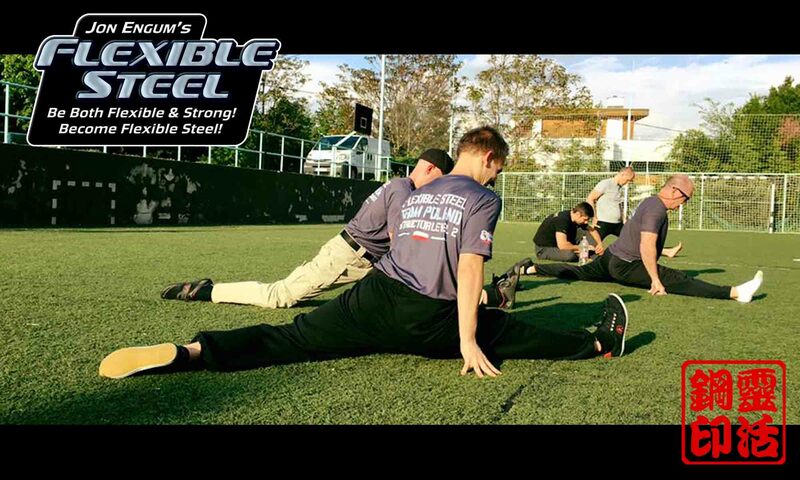 Take a sneak peak inside a Flexible Steel Instructor Certification. A basic Flexible Steel drill to stretch hard to reach shoulder muscles. An example of how stretching two opposing muscle groups benefits both. Check out this intense hip flexor stretch with a quad focus. You will love/hate it. Another look inside the Flexible Steel Certification. The Split Up is an advanced Flexible Steel drill designed to make you strong and flexible at the same time. Learn how to create space in your hip joints allowing you better freedom of movement in all your squatting or straddle positions.